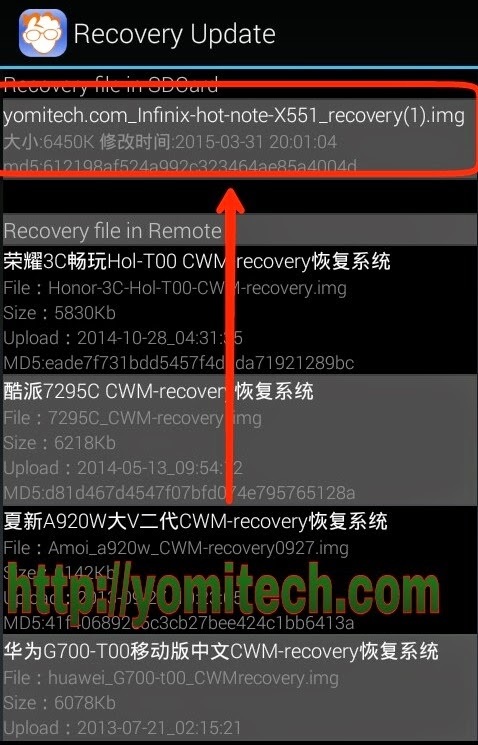 ClockworkMod popular known as CWM is the most common custom recovery for android devices, it replaces the stock recovery and it also performs advance functions which cant be done with the stock recovery such as full backup of your Rom, popularly known as Nandroid Backup, installation of flashable zip, custom roms e.tc. In one of my previous tutorials, I posted a tutorial on HOW TO CREATE CWM ON ALL MTK DEVICES. But for the benefit of infinix hot Note users who love to tweak and mess around with their device and wish to create a backup of their rom or install a custom Rom,I will be showing you how to install cwm on infinix hot Note without a pc. 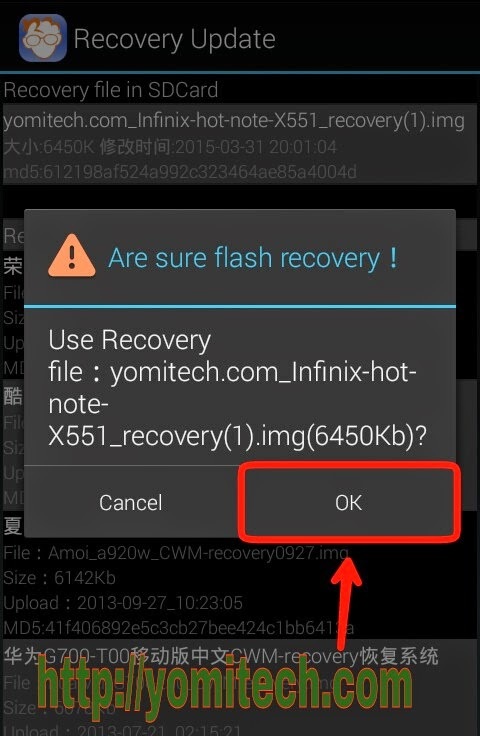 ==> Infinix hot Note cwm recovery. Download here. please can you kindly upload the backup. your help will be highly appreciated as my phone is bricked. Thanks in advance. please can you kindly help with the backup. your help will be highly appreciated as my phone is bricked. Thanks in advance. Nice post, well done. I successfully installed d CWM on my hotnote n made a backup of my ROM but discovered I can't install updates from the system updates. Is it dat once one installs d CWM, he can't install system updates again, or how can I get those updates? Bro I will advice you to ignore any update,..
To all those who bricked their ihot note.. Thank you for this, have you tried installing any custom ROMs like CyanogenMod or CarbonRom? 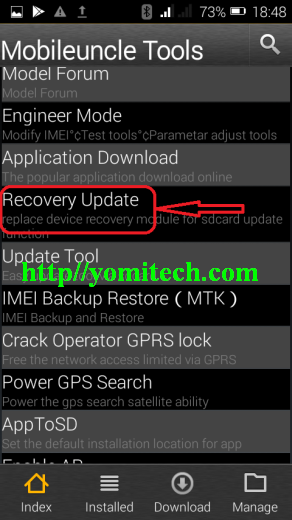 please how would I know if I have successfully install the company recovery? Hi ii have successfully install cwm but i cant flash any rom via this cwm, so for what i need to install this cwm if i still cant flash room through it? 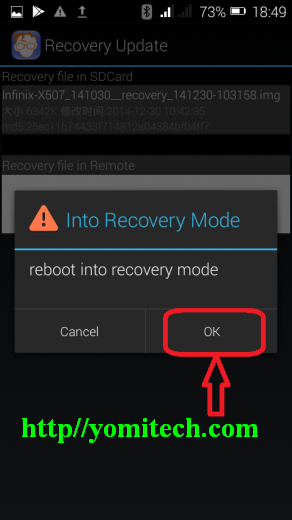 Hold down both th3 vol+ and power button agin to see the recovery options..
hello please i tried this and it was successful but am unable to boot to recovery menu. I will advice you to download the full ROM and flash that instead ..